Envelope or no envelope, that is the question? When you learned to tie your own shoelaces as a child or master the art of putting a round peg into a round hole, did a teacher or parent say to you; ‘good job’? I surely hope so. These two simple words build confidence and self- esteem. As we grow older those words may not be spoken as often. But they should be. As innkeepers you get many compliments from your guests. “Wonderful breakfast, I would love your recipe for…”. “The bed was so comfortable; I have never slept so well”. “The inn is so clean!” In other words; ‘good job’. We feel good when we hear or read those words in a review. All your hard work has been reinforced. But what happens when a guest goes on and on about how clean their guest room was and yet after check-out your housekeeper reports that there were no tips left in the rooms that day. How do you think they feel? In one article I read in my research, housekeeping was described as “backbreaking but invisible service work’. Innkeepers know this all too well, you have been there, done that! 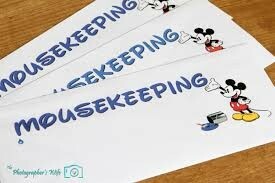 We value housekeepers because we know how difficult this job is. Many innkeepers place envelopes in the rooms or have well written signs suggesting that tipping is appropriate and appreciated. Some large hotels do the same. 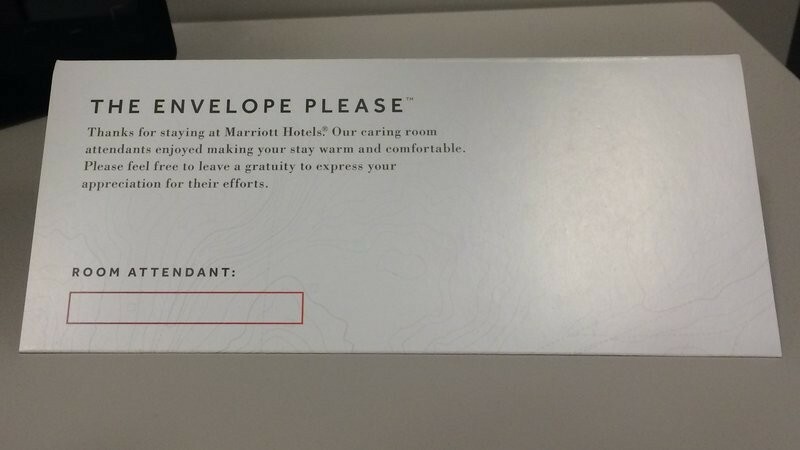 A recent article entitled ‘Marriott’s New Envelope for Room Tips Stirs Debate.’ This article has started interesting ‘conversation’ among Marriott’s guests. You may ask, so what is the debate? “…Here is one comment from a Marriott Rewards Program member; “This is a bit over the top for Marriott to be doing this to us, almost like black mailing us into it. If they are so concerned they should pay these hard working people a better wage”! Hum. Black mailing? I don’t know what Marriott pays their housekeepers but I do know that innkeepers value their housekeeping staff and pay above minimum and even way above minimum. But acknowledgement goes beyond the hourly wage. Envelope or no envelope that is the question? If you want to encourage tipping than the envelope is a safer and more secure way. A sign is another method, especially if you suggest that the guest may choose to add the tip to their bill. Guests may not see or interact with housekeepers at a large hotel. They are much more visible in our small lodging properties. This is an advantage because guests are more likely to view your housekeepers at work and may interact with them. But still their hard work may be overlooked and taken for granted by your guests. This is why that tip, that extra nod of appreciation is important to them. Verbally and monetarily they need to hear, ‘good job’. Those two simple yet so important words. This entry was posted on Tuesday, January 20th, 2015 at 9:30 pm	and is filed under Innkeeping Business. You can follow any responses to this entry through the RSS 2.0 feed. Both comments and pings are currently closed.